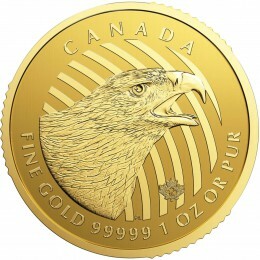 In today’s blog, I will forgo discussing Gold Eagles, Gold Buffalos and Silver Eagles. 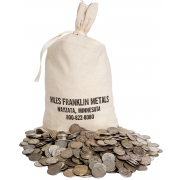 Keep in mind that we are a wonderful source of these coins as well as all other types of precious metals. We pledge to be competitive in pricing and work overtime to assure your complete satisfaction. I want to welcome all of our new first-time clients, sent our way by Casey Research. Casey Research is the most recent highly respected newsletter to endorse Miles Franklin. 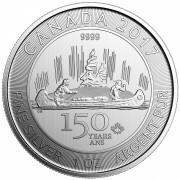 They join our friends at Global Resources and Silver-Investor.com (David Morgan) in recommending us to their readers and clients. We have worked hard to earn the respect of these leaders in the precious metals industry. If I can be of any personal assistance to you, please contact me at zschectman@milesfranklin.com or Andy Schectman at aschectman@milesfranklin.com. Your total satisfaction is my number one goal. Our good friends at LeMetropole Café are now talking about the inflationary effect of Quantitative Easing in much the same manner as Jim Sinclair – and Miles Franklin. Chuck Cohen summed up the gold market perfectly today. He wrote, Since 2000 gold has been up from $250, silver more so, the Dow is still down 30 and if anyone bought into the housing mania, down a lot more than that. To the frustrated readers, please maintain your perspective. We have not yet begun to fight. 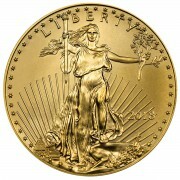 Everything is coming into alignment for the definitive, explosive move in the precious metals and more so, the shares. We will not have gold up each year for 9 years without eventually morphing into a mania. We have years to see this work out. That is why I see a massive liquefying coming into view here. Those who hold on tightly to their deflationary position are going to be a lot more frustrated than any of us are right now. There is far too much pessimism both in the media and in the surveys for the market or gold to go down. The stock market is ready to pop, the money will be lent out and a massive commodity move will ensue. Too much paper chasing too few assets. There are two excellent articles at the end of the blog. Stewart Thomson presents a wonderful recap of all the reasons why you need to own gold and David Galland from Casey Research writes about bullion versus numismatic coins – and confiscation. These are worth your time!